A beautiful girl wakes up in an abandoned subway station with no memory of how she got there. When men try to hurt her . . . they wind up dead. Where did she come from? And what is she capable of? The story is well-written and has scant trace of the the comic story tropes that tend to drive me insane. Writer Greg Rucka does a phenomenal job bringing this dark world to life without the need for hokey narrative boxes, and while the seemingly inevitable damsel-in-distress plot-line brings about a little eye rolling, the main writing is good and the art is, well, fantastic. 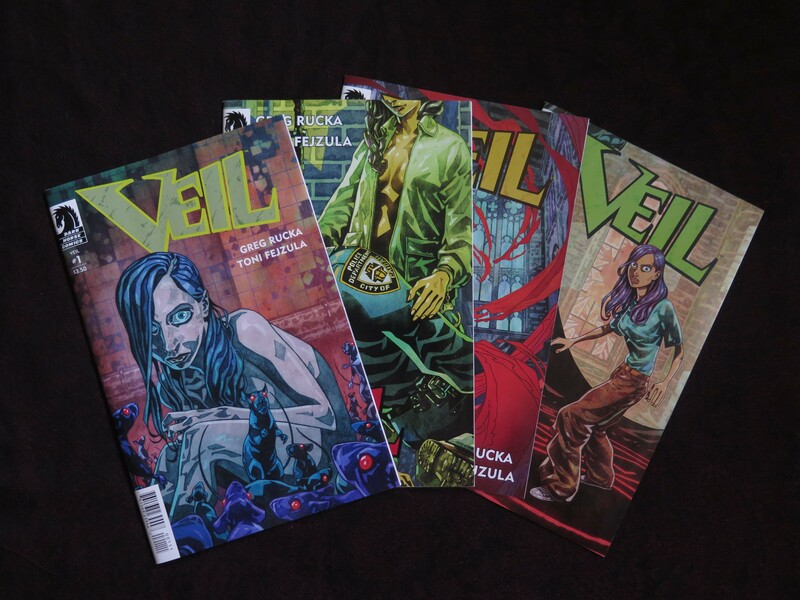 Veil has yet to progress far enough for a full read, but I’m looking forward to what it can become. 4 blue pencils out of 5.